What is the difference between Epilation and Depilation? Depilation and Epilation are both terms commonly used to describe hair removal techniques. Epilation involves removing the hair from its root and includes methods such as waxing, sugaring, tweezing and threading. Depilatory techniques do not remove the hair from its root but rather from the skin’s surface, like shaving or depilatory creams. Send us your questions and we’ll do our best to answer. 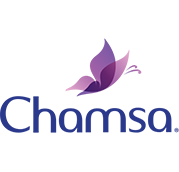 GIMCO produces both Hydro-Soluble and Lipo-Soluble hair removal treatments. What is the difference between the two? Sugaring is a Hydro-Soluble treatment that only requires water to remove any excess residue after its application. Sugar-paste is a natural product; its main ingredients are sugar, honey and water. Waxing, on the other hand is a Lipo-Soluble solution, which requires oil for the removal of any excess residue. It’s essentially composed of natural and modified resin. I have varicose veins, is it ok to use waxing products on them? -	Sugar-paste is applied at body temperature and will therefore not increase the blood supply. -	Sugar-paste will never burn your skin since it is not heated at high temperatures before application. -	When applied the sugar-paste will not stick to your live skin cells (sugar-paste only sticks to your dead skin cells), thus when removed it will not tug as hard as hot wax-based products will on your skin. What are the major differences between hair removal methods? Depilatory creams, once applied dissolve the keratin protein that composes hair at skin level. Unlike sugaring and waxing, depilatory creams do not reduce hair regrowth after continuous use. Sugaring is one of the oldest hair removal methods known. It is a 100% natural product that does not stick to living skin cells when applied but to the hairs themselves. The sugaring process removes hairs from their roots as well as dead skin cells leaving your skin soft and silky. Sugaring is also known to reduce hair regrowth and when used regularly over time, hair regrowth tends to cease altogether. When hot wax is applied, it is first heated at a high temperature (68°C to 70°C), it is then left to cool on your skin, sticking to both the live skin cells and to the hairs. The hot wax process is a little more painful than the traditional sugaring technique and may cause irritation when applied more than once to the exact same spot. I have absolutely no experience in waxing or sugaring; can I still use GIMCO’s products? Prior experience is not necessary for the use of any of GIMCO’s products. If you are a first time user, you might want to try our Chamsa strips that are applied at room temperature. No prior heating or manipulation is necessary. Sugaring methods start first with Caramel Chamsa, a ready to use sugaring hair remover. Caramel Chamsa does not require any prior heating. As the sugar portions are pre-packaged, follow kneading instructions, apply and remove. You will see it is a very simple process. I’ve been to beauty institutes in the past and would like to try hair removal treatments at home. The esthetician uses cloth to remove the wax after its application, what equivalent can I use? GIMCO offers Non-Woven Hygienic Strips that may either be purchased with our sugaring and waxing products or individually. Chamsa and Lady Care Non-Woven Strips may be found at all retailers that carry these lines of products. Each Non-Woven Strip may be used several times during the same hair removal session. Can I carry out a bikini waxing when I have my period? We highly advice you to only proceed with any hair removal treatments after your menstrual period, since your pain threshold will be much higher and your body less sensitive. Is it better to use acetone or non-acetone on nail polish? Both acetone and non-acetone nail polish removers are composed of solvents. Non-Acetone is a liquid solvent often used to dissolve acrylic nails. It may easily be identified due to its strong smell. Avoid using acetone-based nail polish removers on artificial nails, as it shall greatly weaken them. Non-acetone nail polish removers may be used on all types of nails (especially acrylic and artificial nails). Acetone-based nail polish removers are most effective for withdrawing nail polish, which makes them ideal when removing dark colored nail polish. Choosing which nail polish remover to employ is a question of personal taste. Neither of them is harmful to your health. 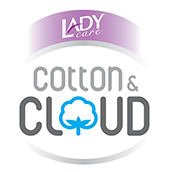 Lady Care offers both Acetone and Non-Acetone Nail Polish Removers, try them out and let us know what you think! I have dry and brittle nails, what nail polish remover should I use? 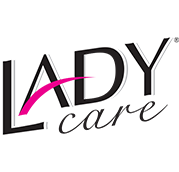 If you have dry and brittle nails we suggest that you use any of Lady Care nail polish remover acetone and acetone free base containing in its formulas moisturizer, oils and vitamins. But if you have extra dry and brittles nails we suggest that you use non acetone formula, lady care flower or wild orchid. Do I need to use nail polish remover even if I am not wearing any nail polish? It is highly advised to first clean your nails with your Lady Care Nail Polish Remover before starting your manicure or pedicure session, this will remove any oils on your nails allowing the polish to last longer. Are GIMCO’s products safe to use? GIMCO’s products are mostly derived from natural ingredients; Chamsa sugaring (all of our hydro-soluble products), for instance, is composed of 100% natural ingredients. GIMCO’s products are all Paraben and Aluminum FREE and have never been tested on animals! Your health and safety matters to us, at GIMCO we always take special care when developing our formulas and choosing our ingredients. Please send us your questions and one of our experts will reply in all discretion.